There are certain things in life that remind you of your mother, the way she hugs, her original smell that means you’re home but most of all her cooking. Why is it that every person on this Earth thinks their mum is the best cook. Although I think my mum’s genuinely might be the best.. or maybe I’m just missing her as she’s been away from London for the last 4 months (insert sad face emoji) when someone says biryani I think of her most.. only she knows how to make a mean biryani. And when I found this biryani house in the middle of soho, I knew I had to go. The restaurant downstairs is not a huge space but I love that they have a private area. 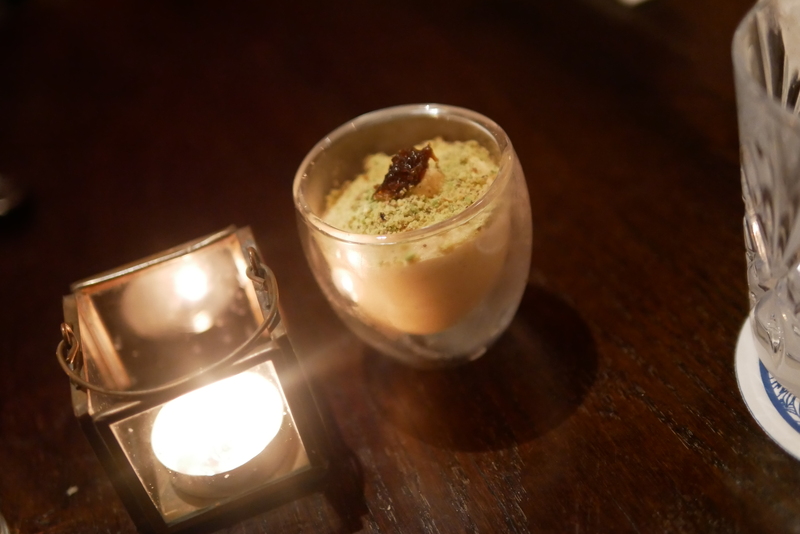 I initially sat in the private seats – there are 3 tables in there, but i soon realised the couple on the table next to me were on what seemed like their first date so I quickly excused myself and went to sit outside with the rest of the population. Sometimes too many choices means its hard to pick what not to eat with so many yummies. 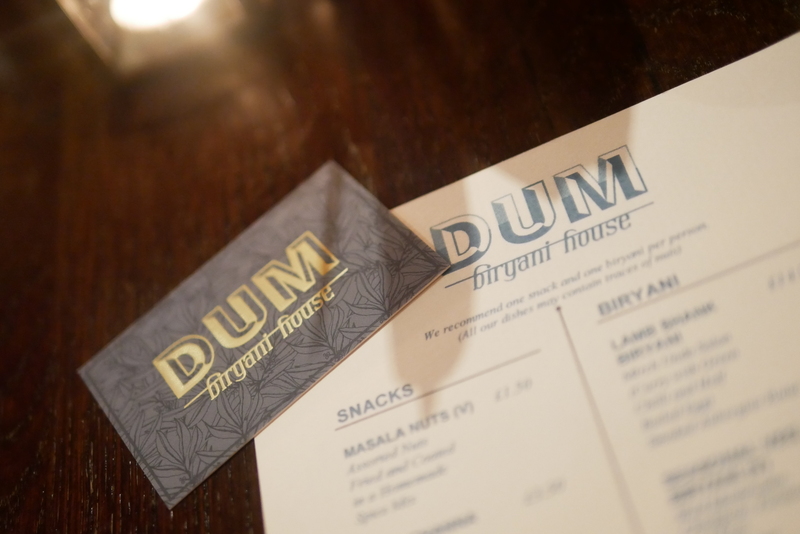 What I loved most about Dum was the menu – short and sweet! There was only 3 or 4 dishes on the menu and drinks. I love that they kept the concept simple and didn’t overcomplicate it – biryani is not overcomplicated. 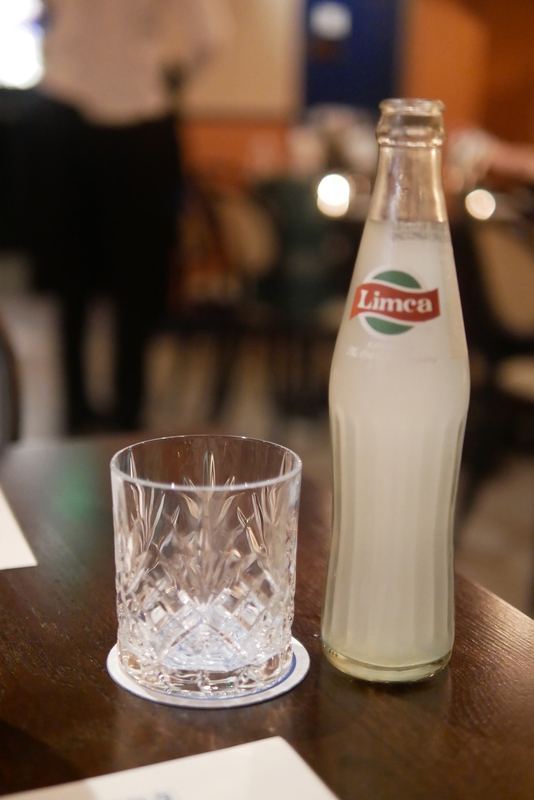 I loved that the drinks were so oldschool and reminded me of my childhood in Pakistan..
As much as this dish was delicious, I was really only there for the biryani and should’ve just gone straight in for it. 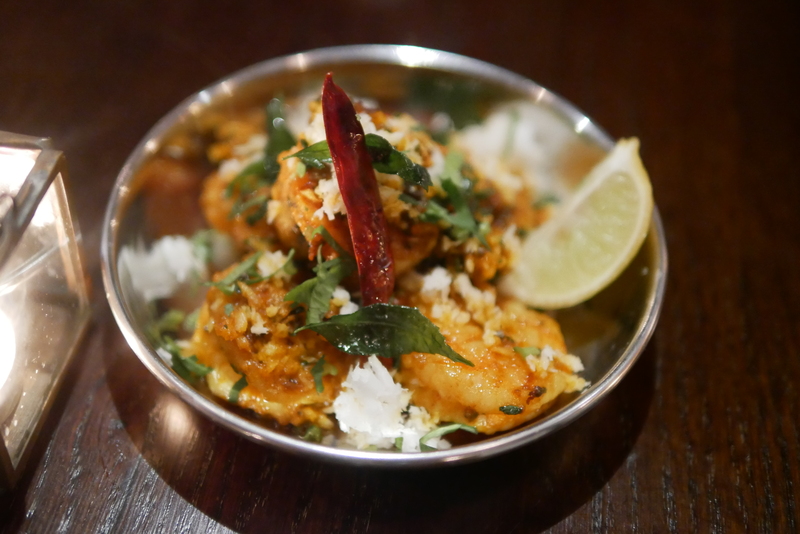 But this was a great starter, the prawns were crispy and delicious but OH SO CHILLI! So make sure you order a side of a bottle of water! Those Hyderabadi’s like their chillies that’s for sure! 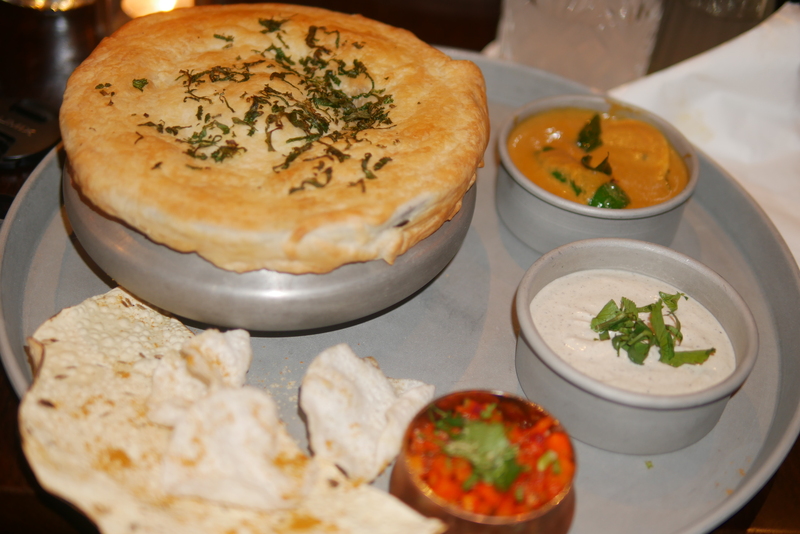 The smell of biryani was amazing and I just wanted to order so… I did – There are 3 biryani options on the menu – Lamb shank, chicken and vegetarian. I ordered the chicken biryani and my friend got the lamb. And out it came in all its glory.. I was not expecting it to be presented in this way but always up for a challenge when it comes to food. 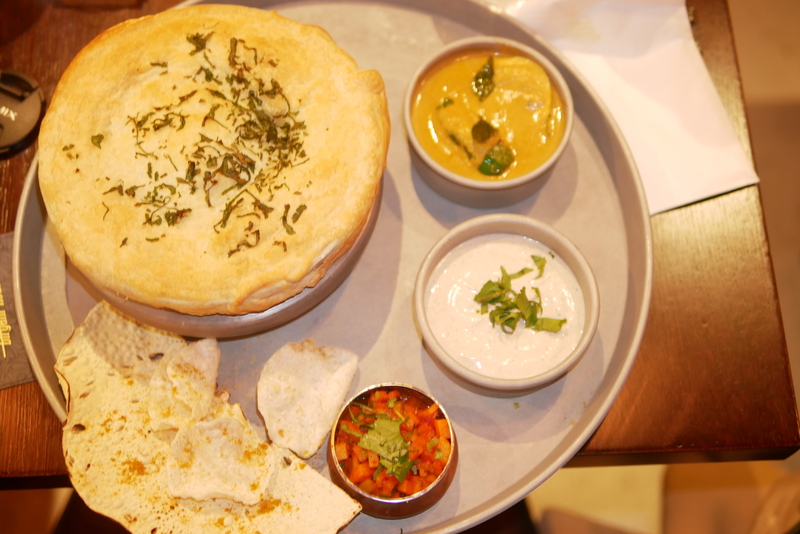 The silver thaali (plate) that is came made it feel like so authentically Hyderabadi. Just what I needed to soothe my scorching mouth at this point, this Rabdi just his the spot. It was a tad too sweet for my liking so I was grateful it was a small portion. DUM in Hindi/Urdu means strength or power! Overall, the hype of DUM is 100% valid. 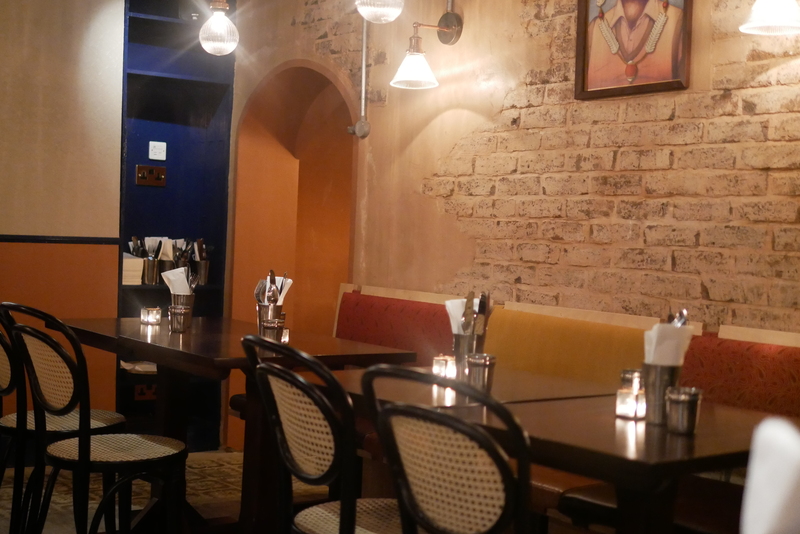 The food, atmosphere, simplistic and filmy decor sets the scene for a great night. A small venue, but definitely worth a visit if you like good, desi biryani. 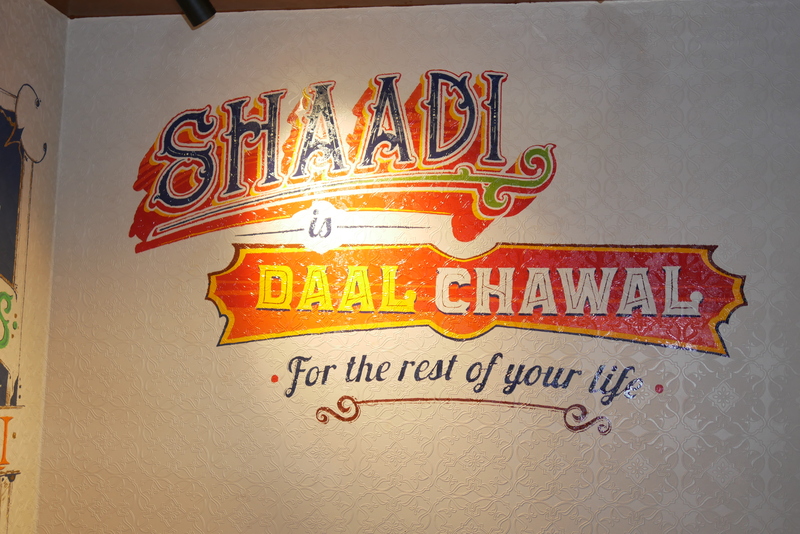 SO as we say in urdu “Dum hai” – there is definitely some strength in this restaurant as the name suggests! Overall, giving DUM Biryani a total TLH score of 9 out of 10. Halal Status: Lamb and chicken is halal, but alcohol is served. Have you guys been to DUM? What are your thoughts? Let me know, would love to hear from you! Ahh thank you sooo much for the love! Appreciate it! Let me know if you have any comments or want me to review somewhere specific!